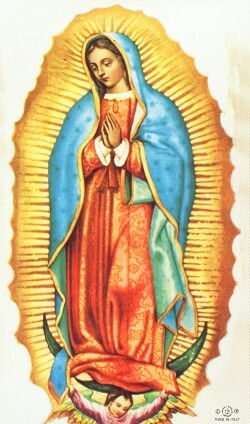 It was on the Feast of the Immaculate Conception that Our Lady of Guadalupe, Patroness of the Americas and the preborn, first appeared to St. Juan Diego. The National Night of Prayer for Life bridges these two feasts to honor Our Blessed Mother and to pray for the sanctity of all human life. This event takes place across the country. The National Night of Prayer for Life is a prayer service consisting of exposition and adoration of the Blessed Sacrament, the Rosary, silent prayer and hymns. Call Lynn at 507-450-0112 or Kathy at (507)452-1922 for more information. “Prayer joined to sacrifice constitutes the most powerful force in human history”.